– Place a thermometer in your fridge and freezer. – Have a tip-sensitive digital thermometer ready to check foods. – Have items that don’t require refrigeration and can be eaten cold or heated on an outdoor grill. – Freeze containers of water for ice and to help keep food cold in the appliances. – Plan ahead by preparing coolers and knowing where dry ice and block ice suppliers are. 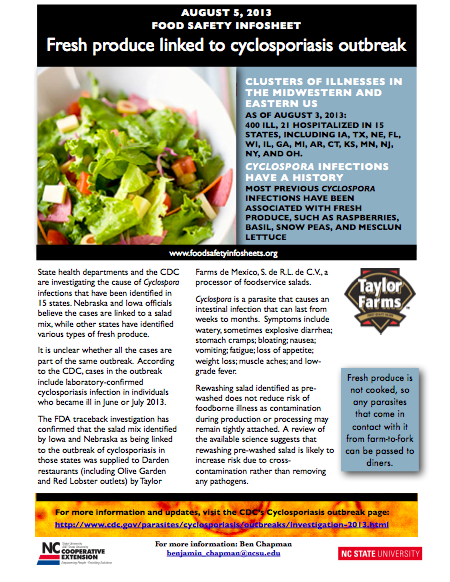 Click here to download the Hurricane Irene food safety infosheet.